You no longer have to undergo painful injections and inconvenient blood draws to achieve a healthy pregnancy through IVF. 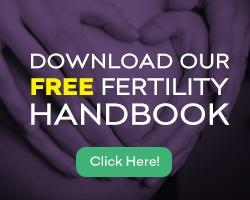 What’s new in fertility treatment? Our team of fertility specialists made news in the NY Post with the launching of Needle-Free IVF – a holistic method of treatment which promises pregnancy success without injections and blood draws. Why is this news? Dr. Zaher Merhi – Director of Research and Development at New Hope Fertility Center – is proud to have spearheaded this Needle-Free protocol in response to his patients’ feedback concerning the daunting cost, pain, and inconvenience of traditional IVF. It is important to work with a fertility specialist having the research and clinical experience required to design a customized IVF treatment plan meeting your personal medical needs. To schedule your initial consultation with Needle-Free IVF expert Dr. Zaher Merhi at New Hope Fertility Center – click the icon below – or call 917.525.5496.